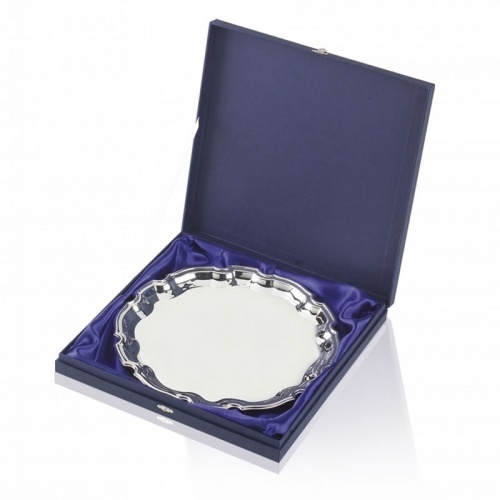 A heavy gauge square Chippendale tray that is suitable for a wide range of sporting, educational and corporate awards. 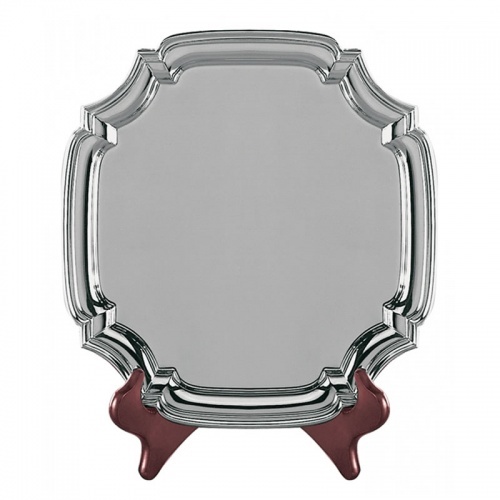 These nickel plated trays are tarnish free and measure 4.5in (114mm) across. Optional wooden stands (WS04) are available for the display of these attractive presentation trays. We also offer optional fully-lined, hinged presentation cases (SSC4).